Quick summary: In this activity students investigate the composition of recyclable materials and look at how the composition affects the rate of break down. In two competing groups, student work to order a range of different waste materials in the order that they break down from fastest to slowest. Finally they are asked to create a poster or infographic describing break down rates of waste materials and tips for reducing waste. Students understand that waste materials have different rates of decomposition. Students recognise that these rates can vary from several weeks to forever. Students understand that we all have a role to play in reducing waste in our environment. Syllabus Outcomes: GE2-2, GE2-3, GE2-4, ST2-11LW, ST2-4WS, ST2-13MW. Level of teacher scaffolding: Medium – oversee activity, facilitate discussion, print out and distribute worksheets. Resources required: Printed teacher worksheet (click here to download), Internet access, student worksheet. Optional: infographic tool (e.g. Piktochart) and camera. Digital technology opportunities: Digital sharing capabilities, infographic creation (optional). There’s an app for that: iRecycle – iRecycle provides access to more than 1,600,000 ways to recycle over 350 materials. 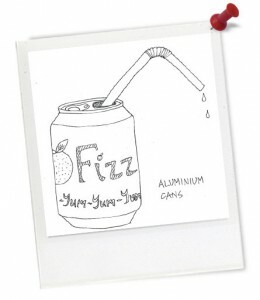 Keywords: Recycling, aluminium, waste, paper making. Overarching learning goals: In this activity students investigate the composition of recyclable materials and look at how the composition affects the rate of break down. In two competing groups, student work to order a range of different waste materials in the order that they break down from fastest to slowest. Finally they are asked to create a poster or infographic describing break down rates of waste materials and tips for reducing waste. View the following video and identify as many types of waste as you can. List these below the video.